A horror show in Italy for Everton, see’s Atalanta embarrass us 3-0. We look at everything that’s so obviously wrong with way we’re playing. As a player you can have all the skill and ability in the world. You could be a headline signing and have all the attention on you, but if you don’t care and aren’t willing to fight for the shirt on your chest, then we as Evertonian’s don’t want to know. 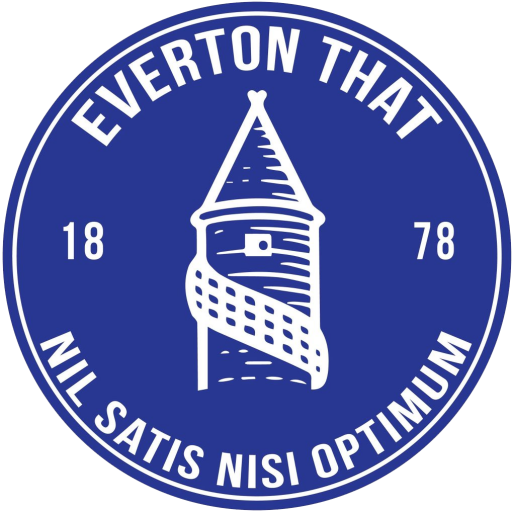 Over the years, what former Everton teams have lacked in ability, they have made up for with heart and willingness to try. Currently, this fairly new side know absolutely nothing about the commitment expected to play for our club. We have a bunch of players that have been formed with all the right intentions but not one of them have shown why they were brought to the club. We witnessed 90 minutes of lazy passes that didn’t reach their target 5 yards away, we lost every challenge and often didn’y bother to get into some challenges and we had to watch as our players constantly gave the ball away. It wasn’t even close to anyones expectations, nor was is close to any kind of standard thats acceptble. I’ve seen more heart in Sunday league footballers who don’t earn a penny from playing the game. The One position we covered well in the transfer window. In fact, I would go as far to say we bought to many centre midfielders. However, we played with 3 centre midfielders again this evening and not One of them were capable of providing a single opportunity. Gylfi Sigurdsson, Muhamed Besic and Morgan Schniederlin are in the side to pass the ball, to build attacks and to be the central hub of the team. There was no purpose to anything they did throughout, if passing wasn’t the fault they couldn’t even provide a way of keeping possession. I’ve never witnessed a group of players that have been provided such a lack of input on mass to start a season. The manager has and will continue to take responsibility for the failing of his players this evening. But, the centre midfield group of players must start to look at their commitment to this club and their game in general. When it’s tough and things don’t drop for you or don’t come off for you, you look to certain players to stand up and make that extra effort. Someone that might not usually provide the in put, but stands up to take hold of his responsibilities and drives the team into battle in the process. We have arguably a team, largely made up of captains or players with the ability to be a leader. Leighton Baines, Phil Jagielka, Morgan Schneiderlin, Gylfi Sigurdsson, Davy Klassen and Wayne Rooney. All of those players were on the pitch on Thursday evening, but it felt as though we’d left them all on Merseyside. The way in which a team deals with adversity is so vital to the overall mentality of the squad. The moment a team accepts defeat it gradually chips away at their fighting mentality, it enters them into a care free attitude that can and will cripple the team in tough situations that are yet to come. The pace of our players began slow, got slower and reach a shuddering halt even before half time, they weren’t interested in finding some foot hold in the game. Jonjoe Kenny not Cuca Martina – Period.